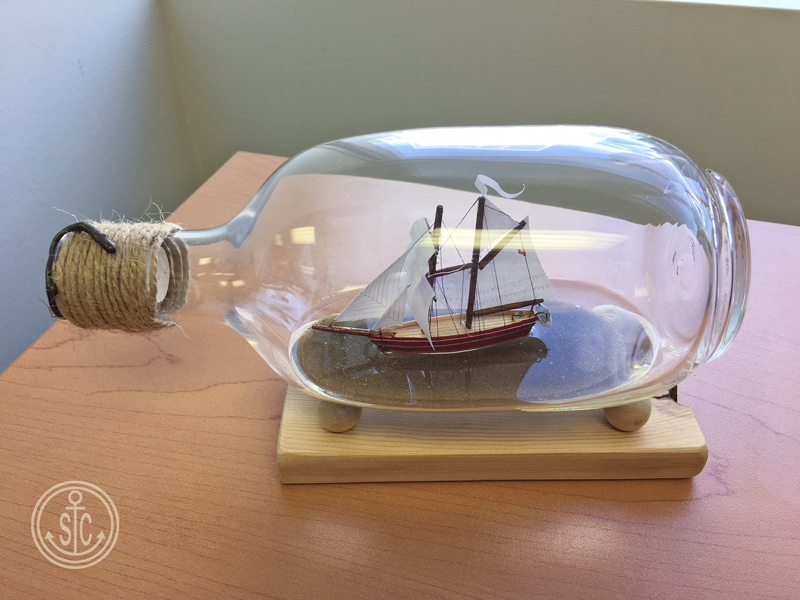 Shawn made this ship in bottle for a silent auction to benefit OMS Montessori. 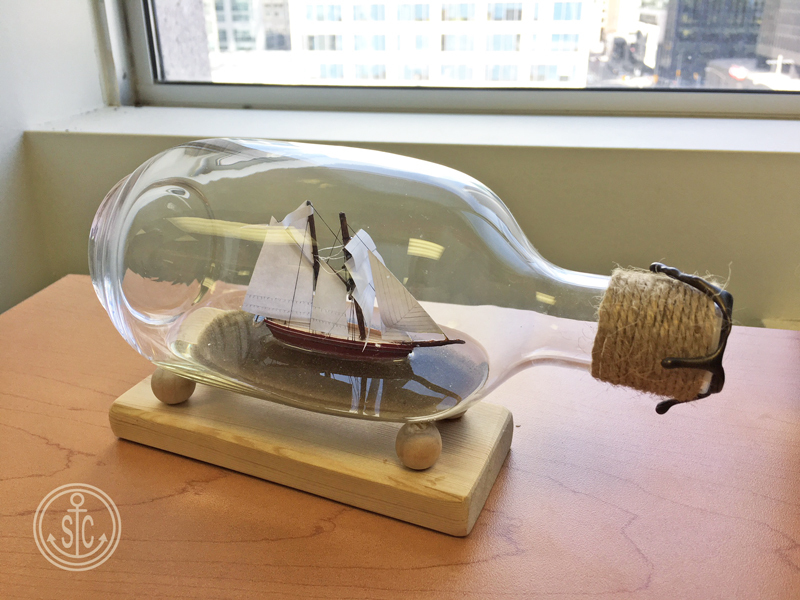 Ikea came out with a lovely series of hand blown bottles which look beautiful with ships in them, and this is a great example. 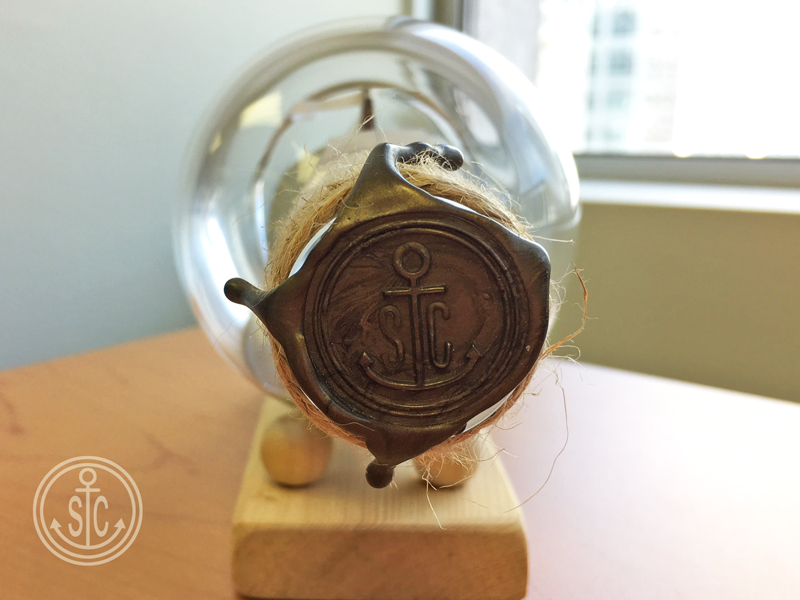 Hand carved, painted, and rigged, using mostly found materials.